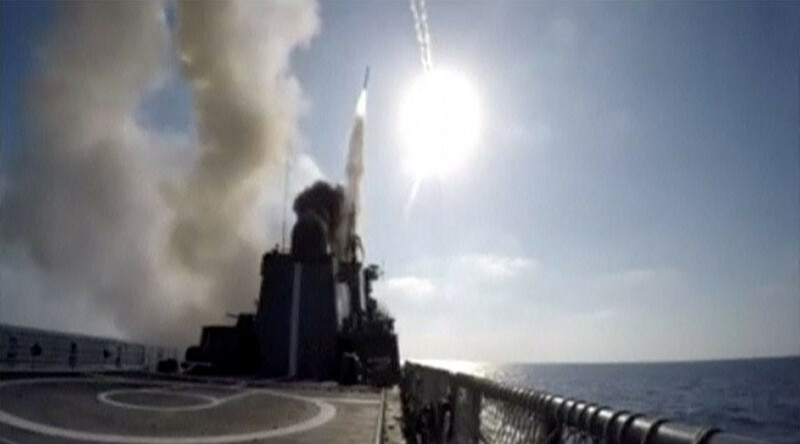 A Russian warship in the Mediterranean Sea has fired a salvo of Kalibr cruise missiles at a group of jihadists stationed near the city of Deir ez-Zor in western Syria, the Russian military reported. The targeted militants were mainly from Russia and countries of the CIS. The frigate ‘Admiral Essen’ of the Russian Black Sea fleet fired the missiles on Tuesday morning, a statement by the Russian Defense Ministry said. The barrage destroyed a communications center, weapons depots and a repair workshop used by Islamic State (IS, formerly ISIS/ISIL) militants, it said. “The missile strikes supported the advance of Syrian government forces, and have foiled the plans of the ISIL militants to regroup and strengthen terrorist positions near the city of Deir ez-Zor,” the ministry said. The ministry later said that the Kalibr strikes allowed Syrian government forces to conduct a rapid maneuver and break through the IS blockade of Deir ez-Zor city. 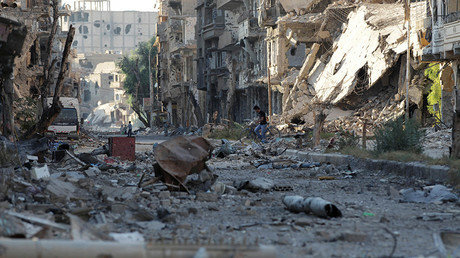 The capital of the western Syrian governorate had been encircled by the militants for almost three years. “The terrorists were trying to stop the advance of the Syrian troops by mass use of suicide bombers in armored vehicles. The assault groups of the Syrian government forces have destroyed over 50 terrorist ‘jihadmobiles’,” it said. Earlier on Tuesday the importance of the campaign in Deir ez-Zor governorate was stressed by Russian President Vladimir Putin, who is currently in China at the BRICS summit. “As soon as the operation in Deir ez-Zor is finished, the terrorists will suffer a very serious defeat and the government forces will get an obvious advantage. Then the next step would be to foster the ceasefire and the de-escalation zones and to fully establish the political process,” he added. The ‘Admiral Essen’ is one of Russia’s most modern warships, the second of the Admiral Grigorovich class to set sail. It carries 8 vertically-launched Kalibr cruise missiles and previously fired them at IS forces in May and June.